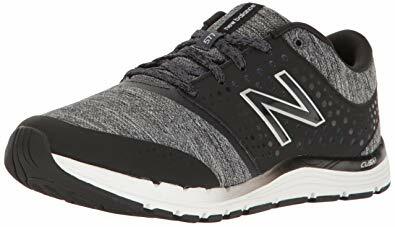 Designed for a variety of exercises, the New Balance MX1267 for me﻿n and New Balance MX1267 for women are the best shoes for jumping rope on a daily basis. The upper is made of mesh fabric for proper ventilation and the synthetic fiber offer your feet complete protection from abrasion and impact associated with jump roping. New Balance 1267 features PROBANK and REVlite technologies built-in the midsole to provide your feet with comfort and firmness during workout. As PROBANK support your feet during every movement, the REVlite absorbs shock in the event of an impact pressure. You will love these shoes because of their comfort, adequate lateral support, and stability during training. If you can’t go out and run, pick a rope and jump. After all, rope jumping is a high-impact exercise that not only boosts your cardiovascular endurance but also helps your body to burn more calories. And besides working many parts of your body on the go plus increasing your stamina, rope skipping can improve your feet and hands coordination and contribute to better breathing. Whenever you skip a rope, the hard floor applies a significant impact pressure on your feet, legs, and the rest of your body. As such, jumping barefoot is not always a good idea. A study by foot health facts shows also shows that skipping a rope barefoot could damage your toes or cause puncture wound if you land on an object by accident. This is where the best shoes for jumping rope come in. A good pair of shoes can absorb most of the impact pressure against your feet, so you won’t have to worry about damaging your lower limb joints. 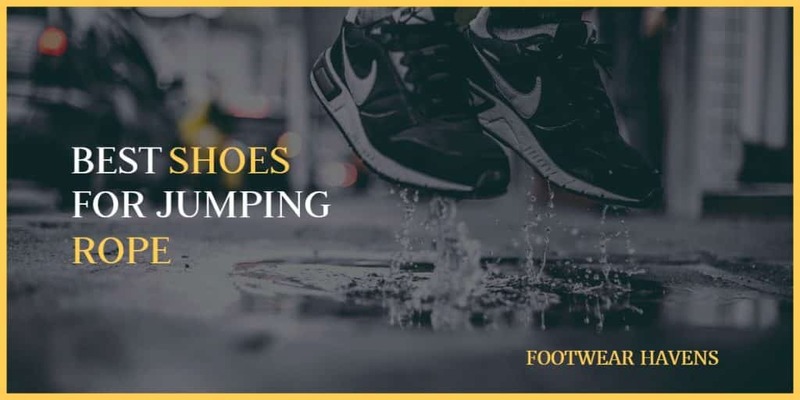 In this guide, I will outline some of the best shoes that you can use to skip rope for physical fitness, explain why they stand out, and tell you what I don’t like about them. 1. What is jumping rope good for? The American Council on Exercise recommends skipping rope because it improves the coordination between your eyes, hands, and feet. Moreover, jumping a rope is the only workout that lets you in on new motor patterns, which is ideal in boosting your cognitive functions. And apart from helping you burn calories and lose weight, this strength training technique can increase your heart rate and improve your bone density. 2. Is jumping rope better than running? Yes, because it has a lower impact pressure than many types of fitness exercises. Because you jump only a few inches, there is less cascading stress on your ankles, hips, and knees. Although skipping a rope is a low-impact exercise, the fast movement of your feet and hands contribute to the overall benefits of the exercise. 3. Can jumping rope help you lose weight? Exercise alone can’t help you lose weight and keep it off. You need to stick to the exercise-diet principle to get the best results and stay fit long term. Jumping a rope regularly and combining the regime with a healthy diet (nutrient-rich foods) can help you shed weight long-term. 4. How many calories can you burn jumping rope? People who jump rope burn more calories than those who walk for physical fitness. In fact, jump roping turns your body into a calorie-burning machine, making it possible to burn more than 800 calories within an hour. As long as you reduce your calorie intake to 300 per day, while jump roping for at least half an hour a day, losing a pound a week should be possible for you. 5. Does jumping rope increase your vertical? Yes, because it strengthens your legs muscles, improve your endurance, and enable your body to fight the pull (force) of gravity. With strong calves, gluteus, and hamstrings, you can improve your ability to jump higher and jump constantly with ease. 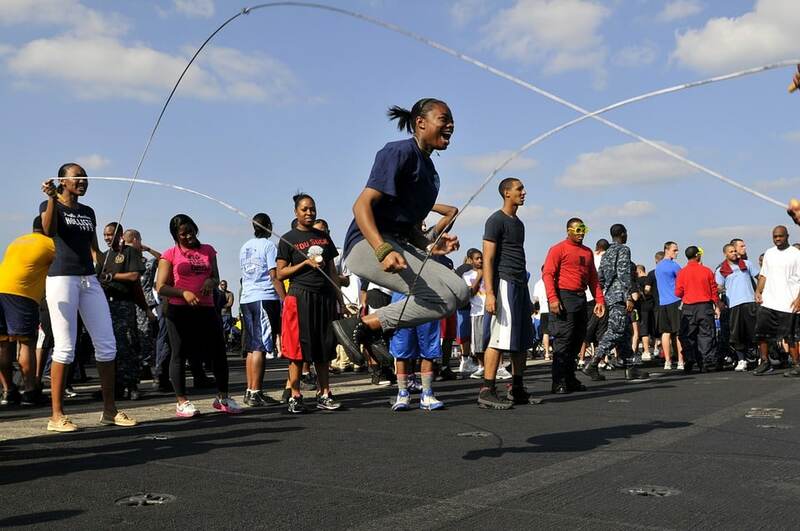 Overall, the more you do jump roping, the more likely you are to increase your vertical. 6. Is jumping rope bad for your knees? No, unless you have a serious condition that requires your doctor’s intervention. At the end of the day, if you can run and jog, you can jump a rope too. As long as you wear the best shoes for jumping rope, the kind that promise adequate shock absorption, you shouldn’t worry about knee pain or injuries. And if these shoes damage or wear out, consider replacing them as soon as you can to prevent possible injuries and pain. Adidas Men's Freak X Carbon Mid Cross Trainer can help you get to the next level in rope jumping competitions, even if your feet are slightly narrow. It is made of textile on the top and it has a rubber multi-surface traction. 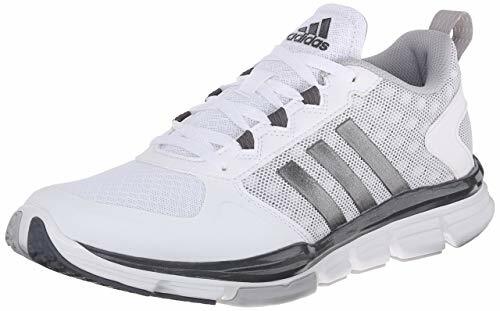 Adidas also includes flex grooves to these shoes to boost traction control. Freak X Carbon Mid Cross Trainer is lightweight and undemanding, and it has a midsole made of ethyl vinyl acetate (EVA foam). This model features a breathable mesh lining, which helps to minimize sweat and prevent odor from building up. The arch provides your feet with sufficient foot control and firmly supports intense training. I would not recommend Freak X Carbon Mid Cross Trainer for people with wide feet because they are narrow. If you have feet and wear these shoes, there will be insufficient airflow, your feet will sweat a lot, and this will lead to odor build up as well as discomfort. The X Carbon Cross Trainer features an integrated embroidered LOCKWEB give you zones for support. They have some kind of football cleat that provide exceptional, multidirectional support, stability and acceleration, which makes it easy for you to do your jump roping exercise. And given that they are fairly priced, these should be easy on your wallet. Although Xero Shoes Prio was designed for road and trail running, they make a perfect choice for people who are looking for footwear they can use to jump rope from time to time. Keep in mind that when jumping in this, the surface beneath your feet should be soft and easy. 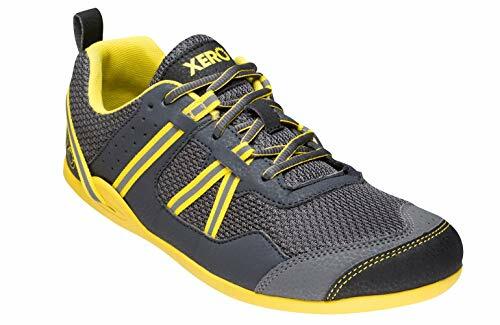 Xero Shoes Prio cross training shoes for jump roping are minimalist, so they make it easy for you to feel your feet and generally your entire body. They are made low to the ground for agility and balance, and the insoles lets you move naturally every time you bend your feet. When you wear these, you will notice that they feel like close to barefoot. That means they are lightweight so you don’t have to worry about carrying some extra, unnecessary weight while exercising. If anything, these shoes should be comfortable for your feet. Unfortunately, the materials used to make this pair will make your feet sweaty. Also, most of the pairs available are small sized and their prices are slightly high. . If you are looking for shoes that require no breaking in, try the New Balance WX577V4 for women. Designed for a variety of workouts, the WX577V4 is good enough for light indoor and outdoor exercise routines, including rope jumping. The uppers are made of pure leather for durability, and the padded mesh tongue boosts comfort while helping with breathability. The model is quite lightweight and flexible with a memory foam insole that offers a perfect cross training performance. Because the New Balance Women’s WX577V4 is somewhat made low to the ground for agility and proper balance, you can be sure that your feet will bend and move naturally. They also offer maximum support on the side without sacrificing your feet’s comfort. Each of the pair has a wide toe box that lets your toe spread and relax as you carry on with your rope jumping practices. The durable sole helps give your brain and feet the stimulation they need as you continue to exercise. The New Balance WX577V4 also double as good shoes to walk in at work, especially when you have long shifts and too busy to stop. These shoes are made of rubber to withstand the demanding workout regimen. 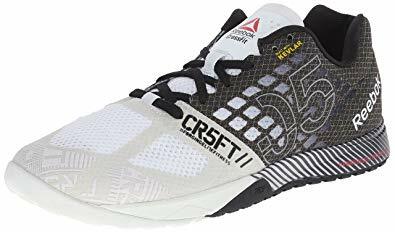 Reebok Men's Crossfit Nano 5 Training Shoe is good enough to give your foot better support and protection from midsole abrasions. First, the pair includes a mesh for proper airflow and durability. Second, it has a raised outsole lug pattern that improves traction and makes floor contact better. In addition to jumping a rope, Crossfit Nano 5 Training shoe is also suitable for rotational and lateral foot related workouts. This shoe can also help to solve knee problem, depending on how soft or hard your feet hits the ground. The one thing I love about Reebok Nano 5 is that they are good for overweight men and women, thanks to their design for heavy-duty sustainability. Because they are available in different colors, from Americana and excellent red to pewter, white, and collegiate and navy, you are spoiled for a colorful choice. And just to mention, this pair rocks on additional movement exercises like GHD, box jumps, squats, dead lifts, burpees, thrusters and snatches. The problem with Reebok Men's Crossfit Nano 5 Training Shoe is that it is difficult to put on and slightly uncomfortable. Aesthetically, this shoe isn’t pleasant; improving its design would be better. Because the materials used are heavy duty and hard, it takes time for the shoe to break in and feel comfortable. Adidas Performance Trainer 2 is made of a durable outsole with groves and traction control. Its insole, which is heavy padded for extra comfort, is made of textile. Also, it’s available in different color options, including carbon metallic, black, and collegiate gold. Adidas Speed Trainer 2 is best for feet motion because it is made with great arch support. It is lightweight, easy on feet, and comfortable to jump rope in from the start to the end of the session. 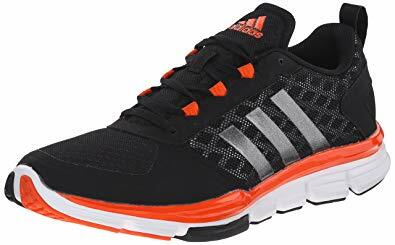 Moreover, Adidas doesn’t limit weight support of these shoes, so they are good for heavy-duty workouts. Adidas Performance Speed Trainer 2 snug pretty well at the bridge of a foot, plus it doesn’t allow a wearer’s feet to turn or slide on the inside. Because they are a bit narrow, it should be a perfect choice for people with wide and flat feet. When it comes to use, it’s important to keep in mind that Trainer 2 is not just suitable for rope jumping, but also for other sports including playing basketball, hiking, running, and jogging. Although this pair offers limited airflow, which may result sweat build up and eventually smelly feet, it is a good pair for people who are looking for a good combination of feet balance and support. Your favorite sneakers may add an appeal to your weekend’ dress code, but they may not be good enough for skipping a rope. Unless you are down to getting some cross-training sneakers, you may want to rethink the idea of picking the best-looking shoes for the exercise. With that said, here’s what you need to consider before buying the best shoes for jump rope workout. If you wear the wrong shoes for jump roping workout, you could lose balance and hurt your ankle. To make sure this never happens, consider shoes that offer promising support for an entire foot. Sad thing is many people don’t realize how inconveniencing heavy shoes can be. They not only make it difficult to trainer but also lessen the possibility of getting the best results. So choose the most lightweight footwear if you want to get the most out of jump roping. If you think about it, your body receives quite a huge impact pressure from the hard floor every time you jump. A load goes up, from your feet all the way to your neck, with every jump. The impact affects your feet, back, hips, knees, neck, and ankles. You need to decrease the impact as best as possible. The only way to do that is to choose properly cushioned shoes. Excessively fit shoes aren’t often good enough for jumping exercises. Shoes that allow your toes to move freely would be more appropriate. Such a pair will not only make your feet comfortable but also guarantee proper air circulation. Copyright text 2018 by Footwear Havens.